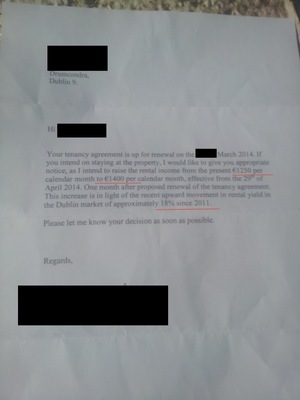 Rent in D7 gone up €400/mth in 3wks – great to see recovery in the market eh? Posted in Misc and tagged Daft, rent at 10:56 am on December 4, 2014 by Broadsheet. Was there a depression in the rental market? More to point, feckin gougers….. The Chancery as your local? Think of the sessions you could have people. Hughes’ for Beamish & trad…The Hacienda for the late nights…The Chancery for the early mornings…it’s well worth the high rent. “Money-grubbing arseholes” – yeah, charging market rates for rent!.. how dare they, with their platinum helicopters! Or maybe they’re just breaking even on the mortgage, having had their arse kicked for 6 years, on an investment that was intended to be their pension or their kid’s college fund? Yeah. Won’t somebody think of the poor landlords. Or choose to completely miss the point. The original point Mr. Balotelli was that the rent here has increased by 33% in 3 weeks. Well, so what if the rent has increased? It’s not up to the landlord to provide social and affordable housing. If it’s overpriced, it won’t be taken. My point is, the landlord may not be some super rich gouger, he may be a fairly normal bloke who’s trying to maximise his income. The place looks grand. Get over it. Christ. I’ve just moved back from Paris. I paid less than that for my lovely two bed apartment in a fabulous area. I love Dublin, but I mean… it’s not Paris. As in there’s too much to contrast and compare for the rents to be comparable. 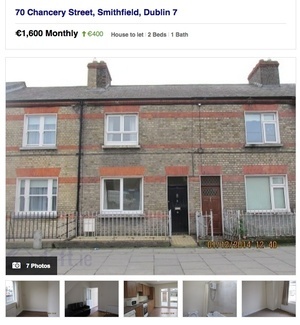 Also, chancery street #, 2 bed house for 1200, sounds like it was an error in the first listing. 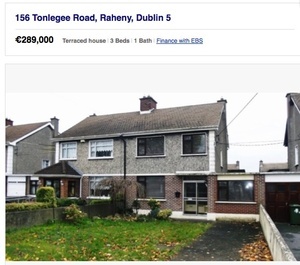 Good luck to them trying to get €1,600 for that. Chancer-y indeed! Who’s making this shhhh up. Suddenly worth 400 more per month. Even though it didn’t rent at 1200. So greedy. And to be fair this city is full of dodgy landlords who take high money and put f**k all into the place. For 1600 you should get some luxury, like a chair that massages your arse and asks you how your day was! hard to see how making it 33% more expensive is going to shift it. maybe the owner works in CIE and is taking a leaf from their book. “Market forces” – (lack of supply) create gougers, is that your point Mario? I hope they’re an oversupply at some point, and the gougers are fupped.. but too many vested interests for that to happen. Too many gougers to look after like. Isn’t that right Mario?